Our Brodowin landscape is a wonderful bee pasture. Naturally, not all plants from which the nectar is collected are certified organic plants – no one can tell the insects that. Organic honey only becomes a biological product after proper preservation of the insects. This includes the correct care and renunciation of pesticides against mites or the like thereof. The result is a multitude of different honeys that are gently flung and bottled. 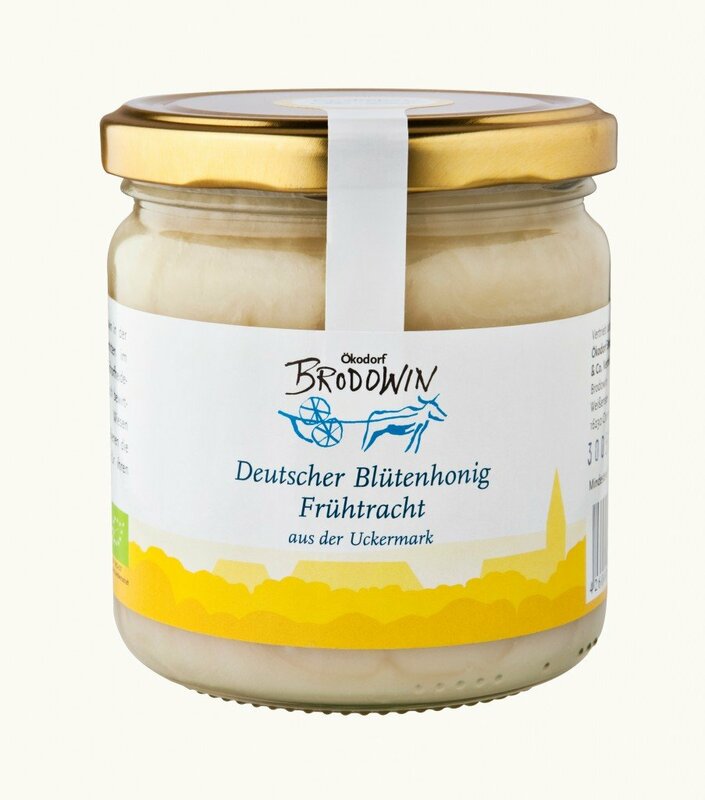 The Brodowiner honey comes from Silvio Krentz from Serwest, all varieties are available in organic shops, in our farm shop and through our direct sales “Brodowiner Ökokorb”. Quite rightly they are called “busy bees”. As soon as spring is over, the summer nectar of lime tree and red clover is collected. 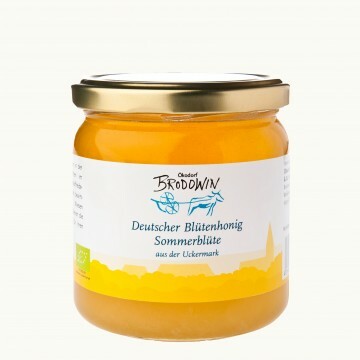 The hotter the summer, the stronger and darker our Brodowiner summer blossom honey becomes. 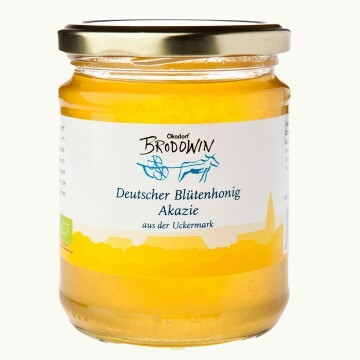 Unlike the name suggests, this honey does not originate from acacias, rather collected in the Robinia forests from the deciduous trees, also known as “false acacia”. 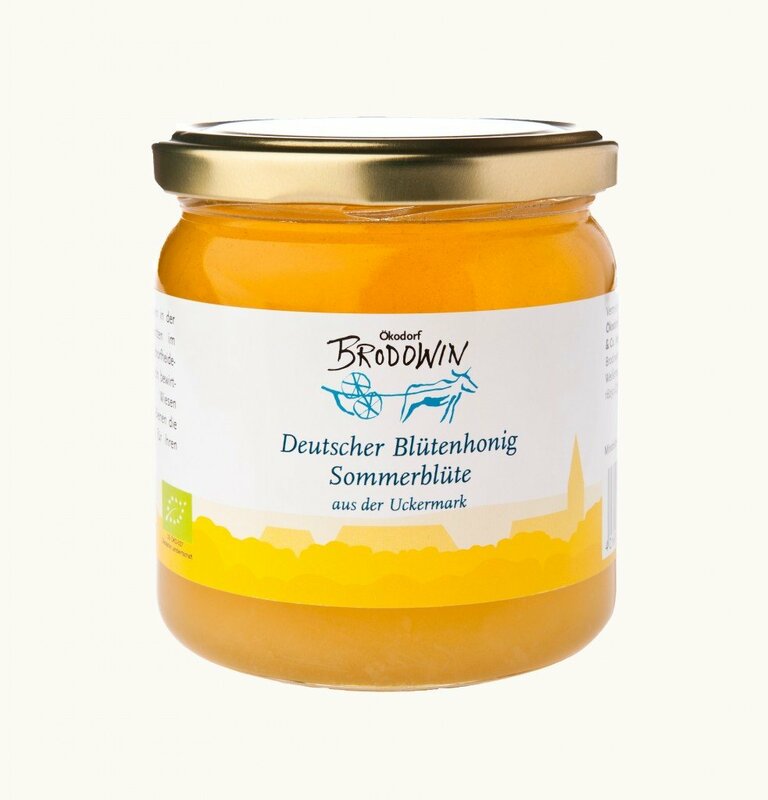 From the nectar of its flowers, our bees make a bright, viscous honey with a delicate aroma. By virtue of its discreet sweetness, it uses include cooking and baking in many ways and, thanks to its high fruit sugar content, it remains liquid for a long time. Available in 500g and 250g glasses. 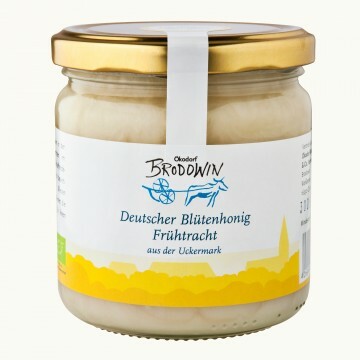 This almost-white honey is acquired from early flowering plants. It has a high glucose content and is particularly mild in taste. 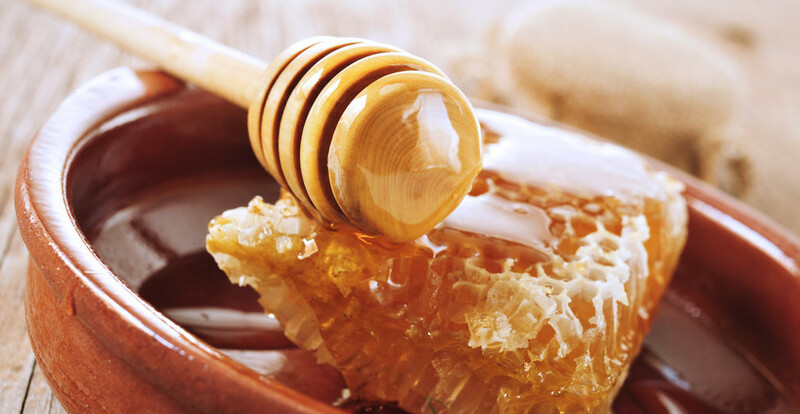 Due to its very low water content, the honey quickly becomes firm. When the Lime trees blossom in the Schorfheide-Chorin Biosphere Reserve, our bees are certainly not far away. 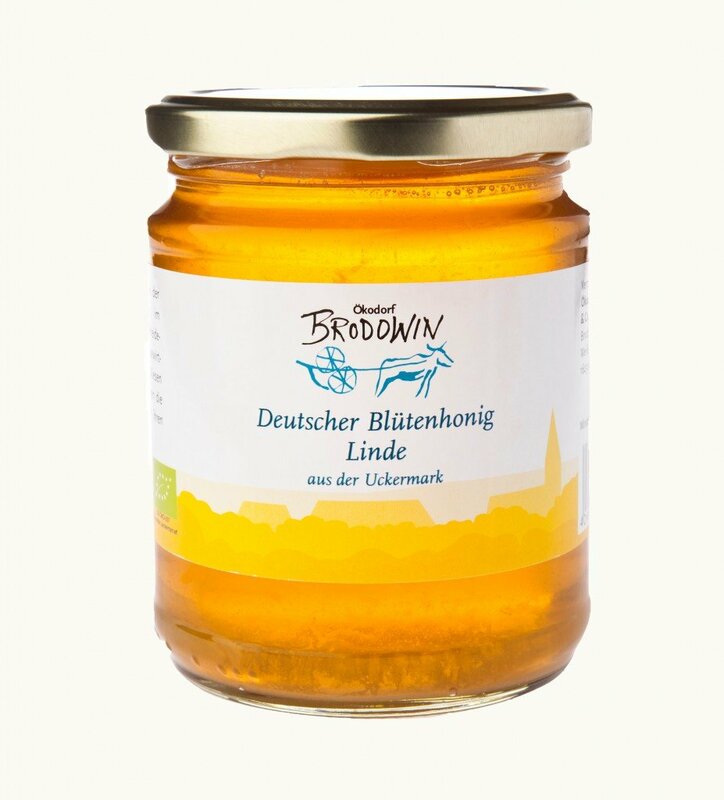 The result of the collection work is a firm honey with a sweet and fruity taste. 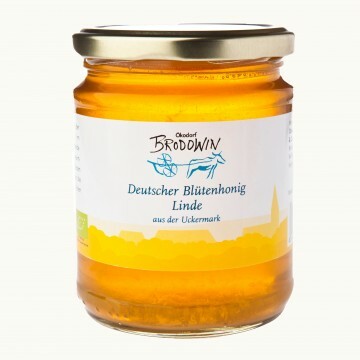 The intensity of the aroma depends on the proportion of linden nectar and is softly reminiscent to the smell of mint.